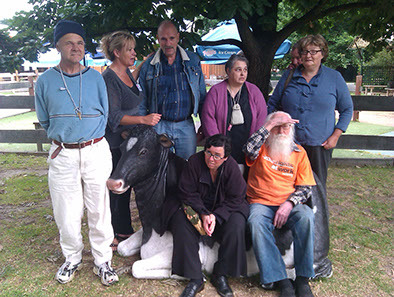 Bridges Connecting Communities is a not for profit organisation charity that has been providing services to benefit the elderly and disability community of Knox and South West Yarra Ranges (SWYR) for over 43 years. It is only through the ongoing financial support of the Commonwealth & State governments, local businesses and individuals that Bridges can continue to prosper and meet demand. Every donated dollar is greatly appreciated and used directly to add value to the services delivered to our community. Last year Bridges supported 620 elderly residents and residents living with a disability who live at home. Bridges services promote socialisation and independence which has a positive impact on health and well-being allowing residents to remain in their homes as they age. Bridges fosters an active ageing approach, helps create stronger and resilient communities and is inclusive to all who are eligible to receive our support. Gifts over $2.00 to Bridges Connecting Communities are tax deductible and a receipt will be issued. If you would like to financially assist Bridges’ work in the community you can donate by credit card using the secure Givenow facilities on this page, please note there is a 1.5% platform fee that is taken by Givenow to use this facility. If you would prefer to donate by direct bank transfer use the following bank details: Bridges Connecting Communities BSB: 633-000 Account No: 157300468 Reference: Your name (please email us your details and payment amount, so that we can forward a Tax Receipt to you). Please call Bridges 9763 9799 for further information. Why Do we Need Support….? At Bridges our goal is provide our services to as many people in the community as possible. 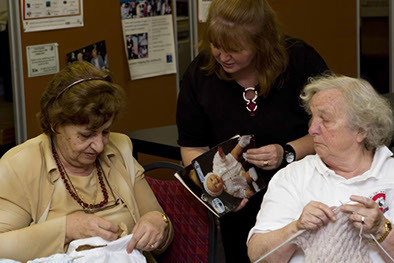 Current funding is received through the Commonwealth Home Support Program (CHSP) and Home and Community Care Program for Younger people (HACC-PYP), however with an ever increasing ageing population it is only through the support of local businesses, community groups and individuals that Bridges can continue to grow. Your contributions are put directly towards providing services such as Transport and Social Support Groups. If you are a business, community group or individual and would like to support Bridges please contact our office. Bridges must fundraise to continue to grow and provide high quality services to as many people in Knox as possible. Fundraising money— what is it used for? Money raised from fundraising are put directly towards our services such as Transport and Social Support Groups. Bridges oversees a fundraising team which consists of volunteers and staff dedicated to raising funds for our services. Each team member brings different skills and background to the group which we use to explore different and exciting fundraising options. The team meets every 8 weeks to discuss, plan and action events and projects. We have a BBQ at Bunnings Ferntree Gully once a month where volunteers do two hour shifts through out the day.